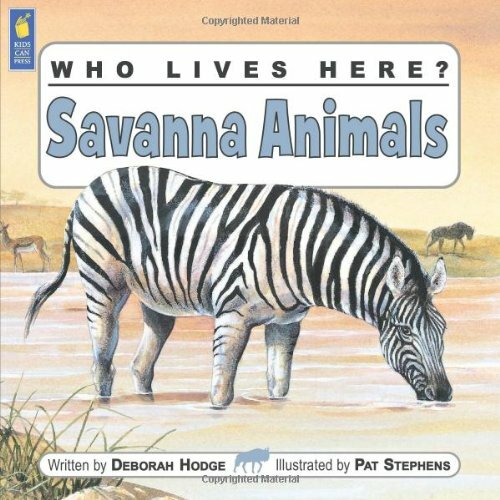 The savanna is home to exciting animals whose bodies are suited to living on the warm, grassy plain. 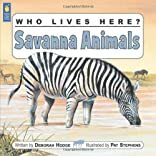 Elephants, giraffes, lions, meerkats, zebras and other animals have special ways of finding food, raising families and protecting themselves in this habitat with long dry seasons and shorter rainy seasons.The Who Lives Here? series looks at animals in their natural habitats - rain forests, polar regions, deserts, wetlands and savannas - and explains how the body and habits of each animal are suited to the place it lives. Charming, realistic illustrations, playful language and intriguing facts make these books a perfect read for young children.